Color Analysis is the logical next step in developing your own style. With the knowledge of your seasonal color palette, you can start to update and refine your personal or professional look with your best core and accent colors. Learn how to wear your best wardrobe and makeup colors and to look healthier, younger, more vibrant and even slimmer. *One-hour private consultation includes 52 color swatch palette with travel case and customized makeup application. At a time when everyone is so busy and there is so much communication technology at our fingertips, it makes sense to provide my services via Skype. Distance is no longer a stumbling block for hiring a professional and finding solutions to your challenges. Putting yourself on your to-do list just got easier. This service is both convenient for you to schedule and relaxing, since it takes place in the comfort of your own home. An ImagebyGwen gift certificate is a unique and thoughtful gift that will keep on giving, and one whose value will make the best gift ever. Who wouldn’t want to have their very own personal stylist to assist with their personal style? Hiring a professional to help you look your best isn’t just for the rich and famous. If you are looking for the perfect gift, look no more. ImagebyGwen’s gift certificates are the perfect gift for your wife, friend, aunt, mother or sister that keeps giving long after the consultation. Attend one of Gwen’s speaking engagements, workshops, teleclasses and/or blogtalkradio show. Your session begins with an explanation of basic skincare and identifying any personal challenges that you may be facing with your skin. Learn the latest techniques for maintaining, protecting, replenishing and repairing your skin. The second part of your session includes a personalized cosmetic makeover using dermatologist recommended mineral makeup. Learn innovative tips and techniques for a day, work and evening look. Mineral MakeUp, made with antioxidants and vitamins, protects your skin from aging. Gwen Rich can be hired to speak at your next event as an honorary or paid speaker. Below are a few of her most popular topics. No group is too small! If you are thinking of changing your appearance for the better, a closet analysis is the place to start. This private consultation will assess and organize your current wardrobe, determine which items you should keep, which you should repair, which you should toss, and what items you need to fill any gaps. 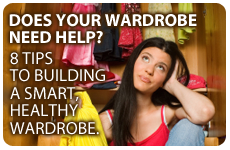 At the end of the session, you’ll have a healthy, functioning wardrobe, and you’ll know how to keep it that way! Two-hour consultation. Hire Gwen to professionally shop with or without you for your wardrobe needs or an upcoming event. Who wouldn’t want their very own personal stylist! Break away from old shopping habits that aren’t getting you the results you are looking for. Learn how to mix and match wardrobe combinations that work for your body type. Gwen’s creative and practical approach to style will have you looking and feeling great for any occasion that comes your way. This private session in the comfort of your own closet is a wardrobe building session that will teach you what every woman should have in her wardrobe. Using Gwen’s unique wardrobe system, you’ll discover your very own 8GR8 Style Pieces using The WARDROBE COMPANION. Learn how to build your wardrobe with key colors and accessories. Have clothes that pass the FABULOUS test© that you absolutely love to wear! The WARDROBE COMPANION© will be included in the cost of this consultation. IMAGE Inside & Out has been the proud sponsor of this annual event since 2008. To date, the contest has provided fifteen teen girls with everything they need to go attend their prom in style. The contest is the perfect vehicle for Gwen to engage her passion for helping to increase the self- esteem of teen girls. In addition, her programs help spread the positive aspects of civility in the community: respect, restraint and responsibility.